Between the 18th and 21st October 2018 you can tag along with Gran Turismo on their Gran Turismo Toscana Escape 2018 event taking you for a weekend in Tuscany, Italy and driving through famous places like Chianti and Montalcino. One of the most beautiful places on the planet. The hilly nature, the vineyards and the food. Oh, and lets not forget about all the insanely nice roads for a fast car. 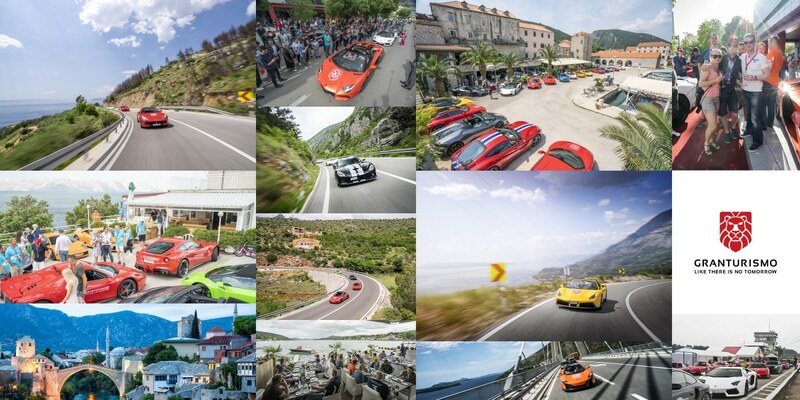 During this weekend event you will have about 500 kilometers of pure driving joy with your super car of choice. You will eat a lot of great food and drink some of the finest fermented grape juice from the region. It is the Tuscan wine season after all. The event starts in Florence, where you stay at Hotel Il Salviatino. It is beautifully situated on the hills of Fiesole, overlooking the city. The car you have chosen will be ready for you on the parking lot just outside the reception. Your own Ferrari or Lamborghini for the event. The next day we start. First breakfast at nine, then we start driving at ten. After just a few kilometers the real fun begins. Strada 222, or Strada del Chianti. It is one epic driving road, going from Florence all the way to Siena. With a super car, it is heaven on earth. Our first stop is in the village of Panzano in Chianti, where we have lunch in the ultra-famous steak house Solociccia, run by the extremely colourful TV-personality and chef Dario Cecchini. Here we will have an eight course meat-and-wine tasting menu that will completely redefine your reference frame of how really good meat should taste. Vegetarian or vegan? We respect your dietary choices, but maybe this is not the event for you. The same evening we arrive on the peninsula of Argentario, in the very south part of Tuscany. Here we stay in hotel Torre di Cala Piccola for the night, having dinner (and even more "local" red wine) on the hotel terrace facing the sea. The hotel is on the top of the Argentario mountain. The view is spectacular, overlooking the peninsula and the sunset over the mediterranean. An evening in October still means temperatures of about 20 degrees during the night. The third day we drive north on the Tuscan coast and stop for lunch in Calafuria. We hope you like seafood. Because they serve great seafood here. After lunch we drive up hill to Montenero for coffee and then back to Florence and our hotel in Fiesole - Hotel Il Salviatino. Wait, what? It is correct. We have been able to source 12 super cars for this event. Ferrari and Lamborghini. This means that you don’t need to bring your own car to Italy for this weekend. You can fly in to Tuscany, use one of our supercars, and focus on enjoying the event. 19:00 - Mingle in the bar and drivers briefing. Please don’t be late. 17:00 - Driving continues. Even faster this time. 12.00 - Check out from the hotel.